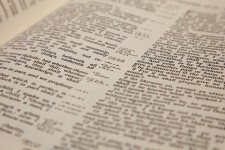 What exactly does it mean that God’s Word is sufficient? It means that God has revealed everything we need to know about salvation and obeying Him through His holy Word. For the Scriptures are active, sharper than any double-edged sword (Heb. 4:12), and it alone has the power to change lives. If we seek guidance through any other resource, even if it’s the direct guidance of the Holy Spirit, it must be grounded and aligned with Scriptural support and not in our feelings. Does the sufficiency of Scripture mean that God can only be known through the Bible? No. The knowledge of God’s existence, character, and moral laws are written on the hearts of all people; for everyone is created in the image of God. However, Scripture nowhere specifies that people can know the gospel, or way of salvation, without hearing the testimony of Scripture. For the Apostle Paul said to the church in Rome, “How then, can they call on the one they have not believed in? And how can they believe in the one whom they have not heard? And how can they hear without someone preaching to them (Rom. 10:14).” This special revelation through Scripture is the only sufficient guide for understanding repentance, forgiveness, and grace through Christ. The doctrine of the sufficiency of Scripture is relevant to biblical counseling. Jay Adams said it well: “The resources for counseling are not in the outside expert, the resources are not in the counselee, nor are they in ourselves; the resources are in God through His Word.” When we counsel others, the Bible tells us all that we need to know about interpersonal relations with others because He is the author and expert of humanity. The Bible may not be sufficient for telling us how to build a boat or fly a kite, but it is sufficient for teaching us how to live appropriately. In secular counseling, Psychologists study mind and behavior. They explore concepts such as perception, emotion, brain functioning, personality, interpersonal relationships, and intelligence to get an overall view of anthropology. Christian Psychologists, also known as integrationists, will mix the truth of revelation found in Scripture and secular views of pschiatry, to accommodate, in their opinion, the most holistic approach to counseling. What I find most troubling about this view is that Christian Psychologists will admit the Bible is sufficient for understanding human depravity and grace but not the biological basis for depression, emotional abuse, and conflict issues. First, I understand that psychological issues can be a result of biological phenomenon. In that case, the counselee should be consulting with a Physician who has a medical degree. However, in my opinion, a Psychologist is not a Physician, and only evaluates and diagnoses the mental processes that are going on in an individual’s life, and a biblical counselor has the same ability to do so as the Psychologist. For example, let’s say an individual is suffering from depression because they cheated on their spouse. The Psychologist may say their depression is a result of not being fulfilled in the first marriage. Maybe they advise to ignore the false guilt and find a new spouse. The biblical counselor might argue that the individual has sinned and their depression is a result of true guilt. Instead of advising the individual to find a new spouse, the counselor may tell them to seek reconciliation with the spouse by repenting and asking for forgiveness. Which one is correct? In my opinion, the biblical counselor. The biblical worldview teaches us that sin can cause depression. Psalm 31:10 states, “I am dying from grief; my years are shortened by sadness. Sin has drained my strength; I am wasting away from within.” Therefore, as Christian counselors, we should heed advice from physicians who are experts in Physiology, but God has given us the sufficiency of Scripture to take care of the psyche, or soul, of humankind. Christians should have confidence that God’s Word is the best tool to use when counseling others about how to live their life according to God’s plan. Leaving a comment may open up a can of worms that dieth not, but I feel I must. What do you suggest with regard to dealing with sexual abuse, specifically a child that has been victimized by a predator? I am a firm believer in the sufficiency of Scripture, but specific paths to healing and dealing with emotional trauma aren’t addressed on individual levels. The truths and principles found in the Bible must be the basis for them, but not specifics. Is this not where a trained Christian professional can advise based on sound childhood behavior research? There is a book called “Counseling the Hard Cases: True Stories illustrating the Sufficiency of God’s Resources in Scripture by Dr. Stuart Scott and Dr. Heath Lambert. It may help address the question you have better than I can. Hope this helps! Have a great day. Next Post How was Jesus both Fully God and Fully Man?